This is a quiz on NBA Star Ron Artest. 1. 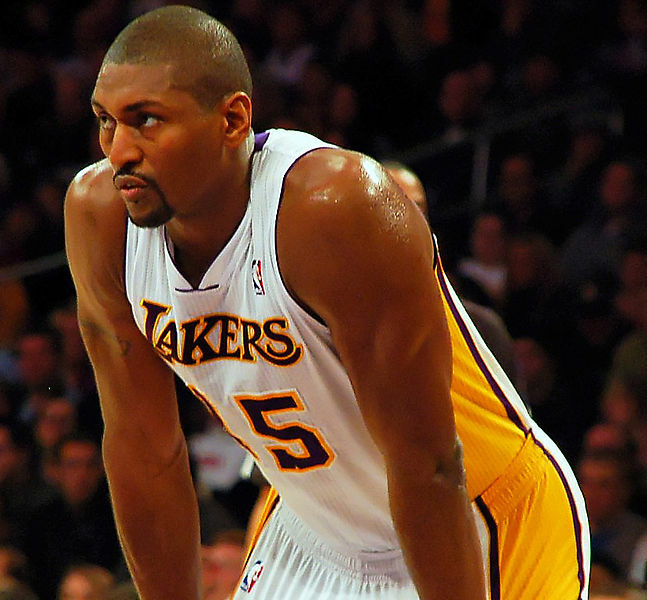 In September 2011, Ron Artest legally changed his name to what? 2. Artest was born and raised in what state? 3. Where did Ron play his collegiate ball? 4. What NBA team drafted Ron with the 16th overall pick in the 1999 draft? 5. Ron was handed the largest suspension in NBA History for his part in the Pacers-Pistons brawl in Auburn Hills, Michigan. How many games was he suspended? 6. When Ron signed with the Lakers in 2009, why did he choose jersey #37? A. It was his high school jersey number. B. In honor of Michael Jackson's Thriller Album being #1 for 37 consecutive weeks. C. He had just turned 37 years old. D. It was his jersey number in college. 7. Between 2002-2006, while with the Indiana Pacers, Ron wore how many different Jersey numbers? 8. What state does Ron call home? 9. In what year did Ron win the Defensive Player of the Year Award? 10. With which team did Ron win his first NBA Championship?